Onnum Onnum Moonnu Season 2 will be launched on Malayalam Channel Mazhavil Manorama on October 23rd at 9:30. 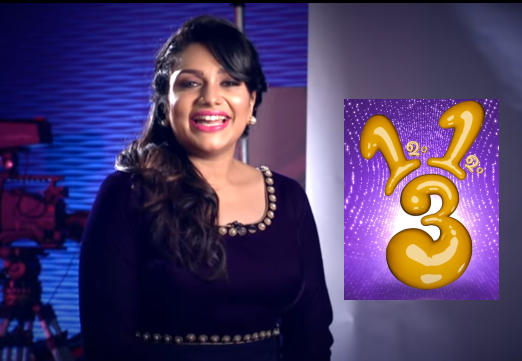 Onnum Onnum Moonnu Season 2 is the second season of the hit chat and game show with Singer and Actress Rimi Tomy as the host. Formal anouncement of the show is made on the official facebook and youtube channels by Mazhavil Manorama. The show will be aired every Sunday at 9:30 PM since its premier. Famous singer Uzha Uthuppu is shown as the guest of the first episode of season 2 of Onnum Onnum Moonu sponsored by Chemmannr Jewellers. Onnum Onnum Mooonu is directed by Jenson Zachariah. The season 1 was telecasted since 7 April 2013 and become one of the most popular chat show on malayalam television. The first season had 157 episodes.The full episodes will be available on Mazhavil Manorama official youtube channel following its telecast.